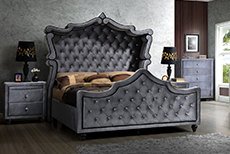 Create a welcoming impression in your home with entryway furniture from 1StopBedrooms. Our selection includes everything from hall trees to entryway storage benches that provide convenient seating as well as a place to keep items handy. We constantly aim to achieve customer satisfaction by offering the finest home accessories at the most affordable prices.